Sorry about piling on with another post about the Saints-Rams penalty controversy but this story isn’t going away quite yet. I was planning on writing a post about Roby-Coleman not being penalized for the egregious hit he put on Tommy Lee Lewis (great name, by the way) but the NFL beat me to the punch. On Friday they announced, in a rather low-key way it seems, that Roby-Coleman (RC) has indeed been fined, to the tune of $26,739. Justice in one sense has been served but there are lingering questions left unanswered. First, of course, is why did it take so long? The NFL people responsible for handing down fines could have looked at the video once and known the hit was deserving of a fine. All year long players were getting fined for hits that were less severe, in this writer’s opinion anyway, than RC’s. And they were usually announced on the day after the game was played. Why wait so long for this one? How about some speculation. They wanted to wait until things cooled down a little before announcing it? (Not that his issue is ever going to cool down in Saints territory). They didn’t want to admit that there was indeed a problem with the play? (Who doesn’t know that anyway?) They couldn’t figure out WTF to do so they just dithered around aimlessly for a while? (Roger Goodell’s usual MO.) Or behind door number three, all of the above. 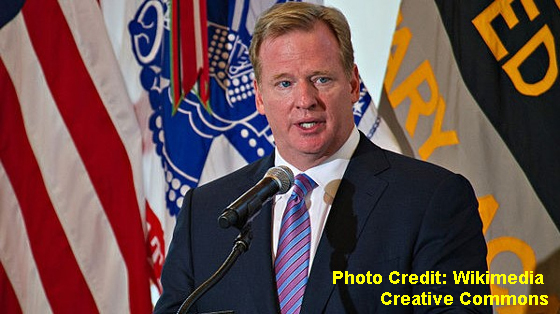 First, the NFL head office seems to be composed of mostly nincompoops, with only a couple of exceptions, and the head nincompoop, Goodell, is the worst of the lot. (Full disclosure: I’m a New Englander. Nuff said.) These bozos have managed to screw up the handling of just about every high profile case in the last five years without exception. I could give you a list but if you’re a fan you already know. Second, referring to the above paragraph, as nincompoops, they are mostly tone deaf to the concerns of ordinary fans. The rarefied air in the New York’s NFL headquarters must have some sort of deleterious effect on these people unless they’re all just plain dumb before they even get there. Why else wouldn’t you fine this cheap-shot artist as quickly as possible? Why make it seem like there was actually some debate over the matter? What did they do for five days, have discussions about whether the hit deserved a penalty or not? Like going for the head of a defenseless receiver in these days of the new more sensitive, more caring NFL is somehow not going to be a penalty. Or, cynic that I am, were they just trying to cover their asses somehow? Because once they fine the guy then they’re automatically admitting that yes, that hit should have drawn a flag. Yes, we really screwed up and no, it wasn’t the Jets playing Arizona in September, but the second biggest stage in all of football. Tell us what you think but that’s what it looks like from here. More on Goodell, and his continued silence on this issue, and the overall philosophy of the NFL and their relationship with the most important segment of their business — their fans — in an upcoming post. Thanks for reading.